All Congress participants and their accompanying persons are cordially invited to take part. Accompanying persons will receive admission tickets if they have been requested in the Registration Form. Clarion Congress Hotel Prague, Freyova 33, Prague, Metro Station: Vysočanská, line B. Opening addresses, musical performance together with glass of wine and refreshment. 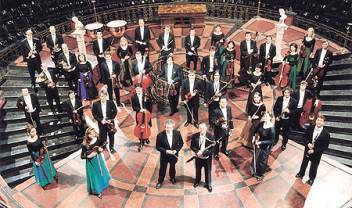 Saturday, 28 August, 19:30 – 22:00 h. Admission for participants and their accompanying persons is included in the registration fee. Please note that due to the limited capacity the Congress concert will take place in two locations – Municipal House and Bethlehem Chapel – Monday, 30 August, 20–22 h.
Admission for participants and accompanying persons is included in the registration fee. 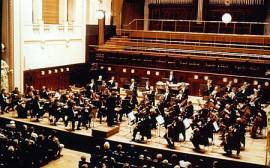 Smetana Hall of the Municipal House (Obecní Dům), Metro Station: Náměstí republiky, line B. Prague Symphony Orchestra (FOK), soloist Jiří Vodička (violin), conductor Jaroslav Brych. A. Dvořák: Symphony No. 9 "From the New World"
Bethlehem Chapel, Betlémské náměstí, Metro Station: Národní třída, line B.
Gaetano Donitzetti: Don Pasquall "Quel gardo il cavaliere"
W. A. Mozart: Exultate, jubilate - motetto KV 165 " Alleluja"
Antonio Vivaldi: Gloria D-Dur "Domine Deus"
Wolfgang Amadeus Mozart: Figaro´s wedding "Voi, che sapete"
Vincenzo Bellini: La Sonnambula "Ah, non credea mirarti..."
Saturday, 28 August, 14–17 h.
Prague sightseeing targeted to the Prague centre (bus and walk) gives you a perfect opportunity to learn about the history of the Czech Republic and its Capital. During the combined coach and walking tour in a small group, you will see the outstanding highlights of magical Prague as scheduled: the walking part begins at Hradčany Town with the Prague castle founded in the 10th century, The Royal residence and since 1918 the seat of Presidents of Czechoslovakia and the Czech Republic. In the premises of the Castle you will visit the St. Vitus Cathedral, the Christian center of Bohemia, the scene of coronations for centuries and the final resting place of monarchs, clergymen and patron saints. You will stroll along the picturesque and fabulous Golden Lane and leave the Castle down the hill where the coach will take you along the river Vltava passing the Convent of St. Agnes of Bohemia to the New Town with Wenceslas Square, building of State Opera, National Museum, Charles Square, famous Dancing House representing Roger and Ginger and the National Theatre with Laterna Magica to the Charles Bridge. During this drive, the guide will inform you about the history of our country, to get a better idea about the development of the city and individual buildings. Afterwards there is a short walking track across the Charles Bridge with a panoramic view on the Old Town and the Lesser Town with the Prague Castle. During this walk you will be overwhelmed by the fairytale feeling. From the biggest Baroque Church of St. Nicholas passing by the noble palaces and unique Baroque gardens you cross the river again and you enter the Jewish Town. It is one of the best-preserved Jewish towns in the world, with an old Jewish cemetery and the oldest active synagogue in middle Europe, built in 1270. Apart from this one, still used for services, there are other synagogues, used as museums, where you can learn much about Jewish culture and history. After driving through the center of nowadays Jewish town, we will come along the Paris street, one of the most wealthy streets nowadays, to the Old Town Square with the famous astronomical clock where the tour ends. You may decide to stay in town and explore a little bit more or we will gladly transport you back to the hotel where you can rest and reflect on the beautiful and charming places you have just visited. Sunday, 29 August, 9 –17 h.
This early Gothic castle, founded around 1240 belongs to monuments, which have been named after and owned, since their foundation up to the present, to members of a single lineage. Český Šternberk was conquered by the soldiers of Jiří of Poděbrad in 1467. The ruined castle was later returned to the aristocracy of Šternberk and they extended it in an ostentatious reconstruction securing the castle with powerful fortifications. The last significant adaptations took place in the second half of the 17th century, when the original broken silhouette nearly disappeared. During the tour you will walk through Baroque rooms with period furnishings of considerable artistic value, supplemented with more recent furniture from the 19th century. 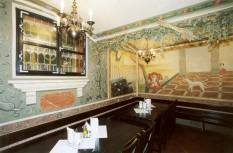 There is a beautiful Baroque stucco decoration in some of the halls; other rooms are dedicated to important representatives of the Šternberk family. Among the collections, one that stands out is a large collection of graphic sheets from the 17th century. Also, historical weapons and hunting trophies are exhibited there. After the visit of Český Sternbeg castle you will continue to the medieval town Kutná Hora. 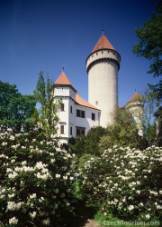 After lunch you will see Hradek – a small castle – which was originally a wooden fort defending the town, later rebuilt as a place to live in. It was owned by many owners and it has a spectacular gothic appearance. 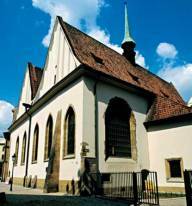 Today the Czech Museum of Silver is situated in Hrádek, where two tracks of excursions have been prepared for you. You will see the exposition of the history of the town and get to know something about the local rich people and you can see samples of all ores that have been mined there. But the greatest attraction there is the Silver path – the original medieval silver mine. Than you will continue to the Cathedral of St.Barbora. The building of this Cathedral started in 1388 and was finished in 1905. You will also visit an ossuary which contains the remains of about 40 000 people. 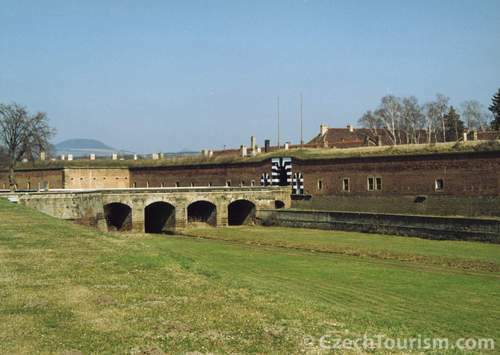 Sunday, 29 August, 9 –13 h.
Take a trip back in time to a fortress not too far from Prague, built in the late 18th century. Terezín was founded by Emperor Josef II. It is an outstanding example of a military fort in the style of Classicist architecture. Originally it was built as a prison for military and political opponents to the Hapsburg monarchy, but the most tragic part of Terezín’s history came after the Czech lands were occupied by Nazi Germany. The small fortress was converted to a police prison of the Prague Gestapo in June 1940; in November 1941, a ghetto and concentration camp for Jews was established in the large fortress and town of Terezín. As you will learn Terezín was used during the war as a façade; the Nazi’s made it look like a spa town to fool the International Red Cross; the hoax worked, allowing the death camps to continue their horrific work. Over 150 000 men, woman, and children were deported to Terezín from the Czech lands, Germany, Austria, the Netherlands, Denmark, Slovakia and Hungary; 35 000 died. You will witness the common rooms for prisoners, perhaps the size of a two-car garage occupied by 25-30 people, with no electricity and no running water. The "isolation cells” rooms big enough to hold a twin bed and not much else. You will view the cemetery just outside the fortress where thousands of political prisoners were buried. As well as a Jewish museum with a permanent exhibition on the history of the ghetto, along with documentary films, and a German propaganda film aimed to deceive the world public. Terezín will be an intensely valuable experience, with a focal point for everything you’ve seen in films and read in books about the Holocaust. It will also help you to view events in your own life with a new perspective. 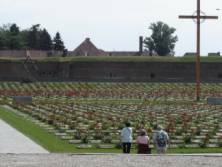 The key mission of the Terezín Memorial is to commemorate the victims of the Nazi political and racial persecution during the 2nd World war and to promote museum, research and educational activities. Only in relatively recent years has Terezín once again entered the world’s public consciousness as a tragic symbol of the dozens of thousands of innocent people who died there during the Nazi occupation of their homeland. 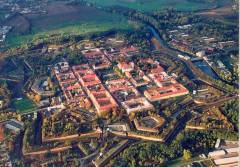 Terezín now stands as a memento of modern day history. 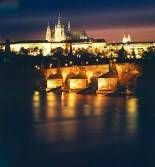 Sunday, 29 August, 19 –23 h.
River cruise on the Vltava River with night views of Prague from a steamer board. Buffet dinner with music. Come and spend a few hours of your evening on one of the most popular tours in Prague! That certainly is an exciting voyage aboard a huge party boat on the historical Vltava River. 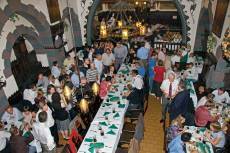 Enjoy a buffet style dinner featuring a variety of Czech cuisine as well as a welcome drink. 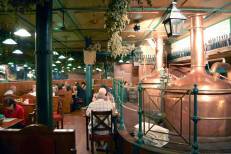 The boat offers a wide variety of drinks including Czech pilsner and Pilsner Urquell. From the boat deck enjoy the breathtaking views of this magical city all lit up. Cruise on the Vltava River for a couple of hours as you have fun with your friends while socializing with other tourists from around the world. Travel underneath the ancient Charles Bridge; get an unbelievable look at the National Theatre and of course the unforgettable view of the historic Prague castle. All this while having a guide with you telling you stories and hidden mysteries and answering any of your questions. Seeing Prague from a river boat will allow you to experience a completely new aspect of Prague that you can only experience while being on aboard of one of the river boats. The atmosphere on the boat is electric as everyone on the boat is in the same situation. Everyone wants to have an unbelievable time, and you definitely will as you meet people from all over the world. Come take the voyage that you will be talking about for years to come. Take the river boat cruise and be prepared to have the time of your life. Monday, 30 August, 9 –17 h.
The tradition of Czech spas is an inseparable part of the European cultural heritage. Spend the day in the largest, second oldest and most celebrated spa and wellness resort in the Czech Republic. 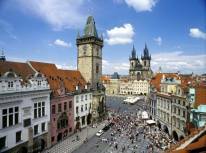 Carlsbad was founded in 1358 by Charles IV, Czech King and Roman Emperor, and reached town status in 1370. After the decline during the Thirty year war, a boom in the bath industry occurred. Over the years the town flourished, with many important historical personalities making it their regular seasonal retreat. 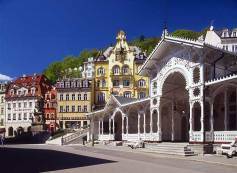 The fame of Karlovy Vary has spread throughout the world thanks to its 12 hot healing springs used for treating digestive disorders, with the strongest hot spring rising from a depth of 2000-3000 meters. As you will see the Architecture was strongly influenced by historicism and the coming Secession Style from the end of the 19th century. The majestic streets and spa colonnades are surrounded by a romantic, mountainous landscape; intersected by many kilometres of forest paths, with stupendous views of the spa valley. You will have the opportunity to stroll along the colonnades with the possibility of tasting the mineral water directly from the spring fountains using the famous porcelain cups specially manufactures for use at the springs. Since 1946, Carlsbad has also hosted one of the most important cultural events in the world, the International Film Festival. It also stakes its fame for being the producer of the world renowned Moser crystal glass. You will have the chance to see exactly how this beautiful hand made glass was manufactured during a visit of the Moser museum. 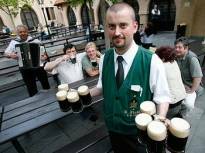 Carlsbad has also enjoyed fame for over two centuries as the producer of the Karlovarska Becherovka liqueur, the popular Mattoni mineral water and the original Karlovy Vary wafers. It is a tradition that you can not visit the Czech Republic without taking a day to sit back, relax and enjoy what Carlsbad has to offer. The founding and development of Carlsbad has always been inseparably connected with the soothing curative effect of its warm mineral springs. The springs have fascinated and stimulated people since the 14th century including Charles the 4th, a Czech King and Emperor of the Roman and German Empire. Even now rich and powerful people still flock to Carlsbad including J.D. Luxemburg, a Grand Duke of Luxemburg and well known actors as Michael Douglas and Jackie Chan to name a few. The list of famous Carlsbad guests is extended by new names every year. Take the tour you will be talking about for years to come, see the "Carlsbad-city of famous visitors". Monday, 30 August, 9 –13 h.
There could be many reasons to decide for this tour. 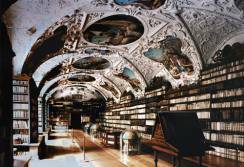 One of them can be for example an extraordinary setup of the program which covers all interesting aspects of historical Prague sensitively combined with a possibility to buy something to take back home with you. We decided to show you Prague from a somewhat different side than is usually presented in regular tourist trips. We would like to go more deeply into our cultural heritage. It’s a must to start at the centre of Old Bohemian Literature – the Strahov Monastery and after an interesting excursion you can take a chance to have a glass of champagne at the view point where Prague appears like on the palm of your hand. The next step is Santa Casa – Loreto Church with its carillon ringing 27 bells and especially the new treasury, with the exhibition from the Loreto treasure. This collection of superb decorative artworks is, in addition to the treasure of St Vitus Cathedral, the only one of its type preserved in the republic. Then you will see the most valuable piece, in both material and artistic terms which is the famous Diamond Monstrance, made between 1696-99 in the Viennese workshops of J. B. Khünischbauer and M. Stegner. The 6,222 diamonds decorating this treasure were from the bequest of Countess Ludmila Eva Frances Kolowrat. After the excursion you will go by bus to Lesser Town to explore beautiful gardens which are just a step away from the famous Charles Bridge connecting Lesser Town with Old Town, where the Jewish Town is also located. Ungelt will show you the influence of German architecture and will let you feel the atmosphere of 16th Century together with surrounding samples of great historical monuments of medieval Prague. 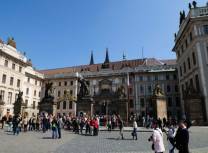 After a short walk the tour will end at the Square of Republic with the biggest shopping centre of Prague. Two hours later our bus will pick you up together with all your shopping bags to take you safely back to your hotel. Tuesday, 31 August, 9–17 h.
Come and spend the day at the second largest castle in Bohemia, located in one of the most visited cities in the Czech Republic. 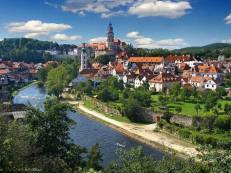 The Castle and the town Český Krumlov were founded in the 13th century by the nobility of Krumlov. The Castle itself rests on a steep rocky hill above the Vltava River, the same river passing through Prague. 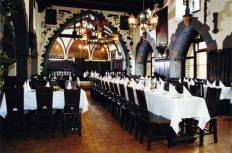 In 1302 the Rosenberg family took the castle over and made it their main residential palace. During the era of Rosenberg, the huge gothic castle was rebuilt into a modern Renaissance residence. You will take a well guided tour through the town of Český Krumlov where you will witness the astonishing buildings and monuments that date back to the 16th and 17th century. Due to these well preserved architectural treasures Český Krumlov is listed as an UNESCO world heritage site. On your tour you will walk through the interior of this historic castle and witness a huge collection of priceless artefacts. While walking around the castle garden you will get a chance to see the large Baroque theatre with its original furnishings and fixtures. Český Krumlov is one of those places you can not describe unless you visit them. Picture yourself in a fairy tale setting as you walk through the castle streets. 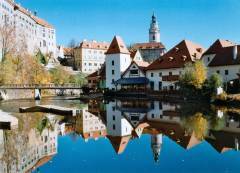 Come to Český Krumlov and witness what people around the world are talking about. Tuesday, 31 August, 9–13 h.
RÜCKL CRYSTAL a.s., is connected to a 300 year long family tradition in glass manufacturing. The glass making family Rückl came to Bohemia at the turn of the 17th and 18th centuries, most probably from what is now Switzerland. Leaving Italy they went through Switzerland and Bavaria into Šumava and then on into eastern and northern Bohemia. Records from 1704 show that Sebastian Rückl, an eminent glassblower, worked as a master glassmaker in Šumava near to Klášterský Mlýn at the "Zlatá studna" (Golden Well) smelter. The direct ancestors of the founder of the Nižbor glassworks settled in the Chrudim region and in 1846 Jan Rückl founded a glass smelter in the then Cyranův Wostrov (the present Ostrava). His son, Antonín, then went on to build a glassworks in Včelnička near Jindřichův Hradec in 1875, in Skalice near Česká Lípa in 1893 and his last and most modern construction was the glassworks built in Nižbor near Beroun in 1903. In 1923 the business, made up of the glassworks in Včelnička, Skalice and Nižbor with a wholesale warehouse in Prague, was turned into a Family joint stock company, the shareholders of which were solely members of the Rückl family. In the interwar period the plants produced virtually the entire range of home and decorative glassware; that being crystal glass and lead crystal, clear or coloured, cut, polished or painted. The glassworks’ good name, both at home and abroad, was supported by their serious social policy and successful cooperation with artists, prestigious drinks and decorative glass designers, among whom were professor Drahoňovský and Ludvika Smrčková who was just making a name for herself. The establishment had outlets abroad, most significantly in London and Damascus. After the end of the Second World War the firm, due to its size, was nationalised. In Czechoslovakia there was an organisational concentration of glass production and the nationalised glassworks were incorporated into the newly established national enterprises. Thus the glassworks in Nižbor became part of the national enterprise Český křišťál (Czech Crystal) with its headquarters in Česke Budějovice and later, in 1965, it was placed in the monopoly grouping for leaded glass "Sklárny Bohemia" (Bohemia Glassworks) with its headquarters in Poděbrady. In this period the glassworks in Nižbor set up another two cutting plants one in Annín and one in Vimperk. The glassworks in Nižbor was designed so that the capacity of its smelter was able to cover the needs of semi-finished glass products for further treatment in both its own cutting rooms and those in Annín and Vimperk. The quality of the work and the extensive range of goods placed the Nižbor glassworks among the best for cut lead crystal in the then Czechoslovakia. On the 1st of June 1992, on the basis of a winning privatisation project and the consequent purchasing of the plant from the National Property Fund, ing. Jiří Rückl, a direct descendent of the Rückl glassmaking family, became the owner of the Nižbor glassworks. He set up the firm "Antonín Rückl a synové s.r.o.,sklárna Nižbor". 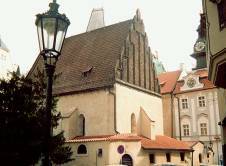 On the 1st of September 1993 the glassworks in Annín were bought from Sklárny Bohemia a.s., Poděbrady. The company built its own sales shop in the Nižbor glassworks’ grounds where visitors can also buy refreshments. In cooperation with travel agents their clients can have guided tours of the glassworks with a professional explanation of the processes. 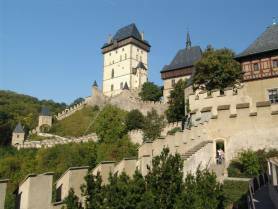 Wednesday, 1 September, 9–17 h.
Only 39 km southwest of Prague lies the 2nd most visited monument in the Czech Republic, Karlštejn Castle. The gothic Castle was built between 1348 and 1357 by Emperor Charles the 4th as a treasury for the imperial, and later also the Czech crown jewels and sacred relics. Between 1520 and 1530 the burgraves residence was built between the walls. 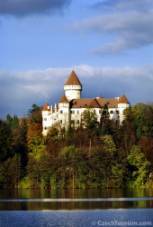 In the period 1587 and 1596 the castle was reconstructed in the renaissance style by architect Ullrico Aostalli. The Castle interiors have preserved the church of the Virgin Mary and St. Catherine chapel which have very unique paintings of the famous Charles the 4th. The Highlights of the castle architecture is the Chapel of holy rood located in the tower. The chapel features 129 gothic paintings from the workshop of Master Theodoric's, a gothic gallery of international importance, for this reason Karlšteijn Castle was nominated for entry into the UNESCO list of world cultural heritage. Spend the afternoon exploring this medieval treasure. Karlštejn impresses upon everybody with its stately manor and the same mood is felt by its visitors by its interior, adjusted as close as possible to the original medieval appearance. It is possible along the tour route to behold not only the architecture which is very valuable from a historical view point, but also the furnishings. The unique collection of 129 gothic paintings represents "the entire army of heavens” ideal or approximate portraits of the saints, holy popes, and bishops, the knights of the Theban league, holy rulers and church teachers. These works were designed and predominantly painted by master Theodorik "the royal court painter” of Charles the 4th. You will also visit the glass factory in Nižbor - the Czech Republic is world famous for its production of hand made and hand cut lead crystal. If you want to get acquainted with the secrets of its manufacturing, we will take you 45 km south-west of Prague, to Nižbor town. Here you can witness the traditional techniques of the glass blowers and glass cutters step by step. After the excursion you will have the opportunity to visit the factory shop. 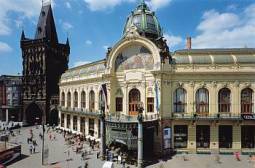 Before returning to Prague you will be taken through the typical Bohemian countryside. 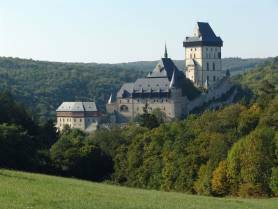 Wednesday, 1 September, 9–13 h.
This four hour tour takes you 50 km south of Prague to Konopiště chateau which was founded by the Benesovec family in the forested region of the valley of the river Sazava in 1300. It is a mature sample of the type of medieval fortification architecture represented by the French conception of the castle. Seven stunning round towers lined the periphery of the fortification walls. In 1887 the successor to the Austro-Hungarian throne, Frantisek Ferdinand d’Este, became the owner of Konopiště and between 1889 and 1894 he extensively restored the manor, this work having been connected with transformations into gothic forms. Konopiště keeps extraordinary rich collections of artistic as well as arts and crafts articles covering the Gothic, Renaissance, Baroque, and also modern periods, all of them being of the widest variety. Just a sample of this collection would make Konopiště one of the most interesting manors in all of central Europe. Ferdinand d’Este was a passionate collector of hunting trophies, historical weapons, paintings, furnishings, china and a wide variety of statues, which you will be able to witness for yourself. Konopiště finds itself in the middle of an astonishing park with a rose garden founded by Ferdinand d’Este himself. Entrance fee included. The Arch duke had the famous D’Este Armoury moved to Konopiště from his modern inheritance; this armoury belongs among the most interesting in Europe. The collection of the church antiquities, relating to the cult of St. George, the patron of knights, is also unique. The representative halls on the first floor belong, as do the interiors, among the best. The reception hall and pillared hall, for example, both contain extraordinary valuable Italian cabinets from the 17th century, the big dinning room with a ceiling painting by F.J. Lux from the middle of the 18th century, and the manor chapel with beautiful decorated vaults. 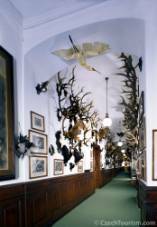 The manor passages are decorated with sundry hunting trophies. People from all over the world come to visit this astonishing Castle. 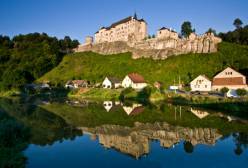 Come and see what people have been talking about for centuries, come and visit the Konopiště Castle. The social program (including transport from/to the airport) can be ordered by using the services booking form in your user pages. After filling in the form, the invoice for the services (social program and transport) will be immediately generated for you at the menu of your user pages under Review of invoices. Please follow the payment instructions given there. In case of cancellation of the already paid social program the refund will be made on site with a deduction of 20 %. No refund will be made if cancelled after 31 July 2010. After this date the ordered events that have not been paid in the due date will be cancelled. However, it would be possible to purchase these events in the Congress office if tickets are still available.